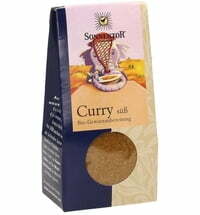 Savory is an exciting spice that refines many dishes and also has a medical value. Savory belongs to the mint family. It grows knee-high and has lancet-shaped leaves that are three centimeters long and half a centimeter wide. The flowers are small and pink to purple in color. If you want to grow savory yourself, you should sow it in the spring and cover the seeds with a little soil. Keep them moist and plant the saplings outdoors when they've grown. They grow best in sunshine and can be harvested after July. Savory is always harvested before flowering as the leaves have the most intense aroma during this time. Savory is very spicy and can taste a little peppery or have a slight burning taste. This is due to the essential oils that savory contains, which are also known for their beneficial health effects. Savory has an intense taste, so less is often more. In addition, the herb develops its flavor as it cooks. Savory can be used with salads, potatoes, vegetables, and mushroom dishes. 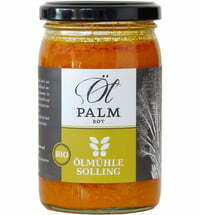 It is used in sausage production and for bean dishes. Even the ancient Romans appreciated the savory and not just in the kitchen. In ancient times it was attributed aphrodisiac properties. Whether that is correct, has not been proven. However, we do know that savory stimulates digestion, has a positive effect on the gastrointestinal tract and relieves bloating and cramps. It has antiseptic properties and can be used to relieve inflammation in the mouth and throat and coughing and hoarseness. It is effective as a tea and can be used as a bath additive. Tip: Plant savory next bean plants to keep aphids away. What was the Spice Route? Snacks for the UEFA Football Championship!